Thomson Airways now flies their new luxury Boeing 787 Dreamliner weekly to Colombo Sri Lanka from London Gatwick. This is a direct non stop flight of 11.5 hours and Premium Class is also available. This is a huge boost for tourism for Sri Lanka and follows the announcements from both Austrian Airlines and KLM who are also offering new services to the island. The Thomson flight now fills part of the gap left after British Airways pulled out of the service in 2015 due to competition from Sri Lankan Airlines. Seats are sold on the aircraft as part of package holidays or seat only. Long haul holidays are fast becoming the preferred choice for many British holidaymakers as new research from holiday brands, Thomson and First Choice reveals that more people than ever before are prepared to go the distance to find their dream destination. Travelling for nine hours or more is now considered par for the course for many Brits (77%) as they seek more adventure and cultural diversity from their holidays. Whilst two week durations remain the most popular, increasingly British holidaymakers are jetting further afield for just 10 or 11 nights in search of better weather (53%), cultural diversity (52%), beautiful beaches (42%) and more adventure (38%). This combination of factors resulted in 65% of those asked saying their long haul holidays were the most memorable and that they felt more adventurous (36%) than on a short-haul holiday (9%). 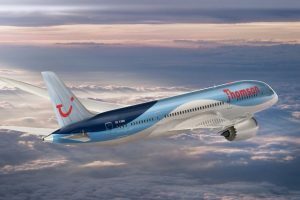 Thomson, part of TUI UK & Ireland, is one of the UK’s most well-known holiday brands, delivering unique and modern holiday experiences for its customers every year. 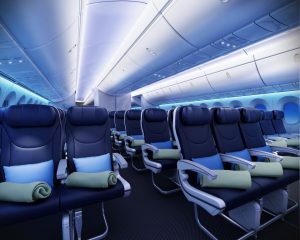 The airline was the first UK operator of the Boeing 787 Dreamliner. landing. It’ll be quieter in the air, too. For a bigger luggage allowance and seats with a bigger recline and a 38-inch pitch. 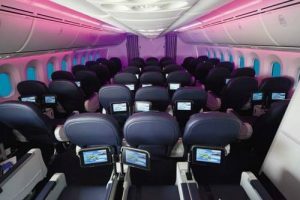 You’ll also get priority check in and boarding, security fast track and UK airport lounge access, plus luxury extras like a Rituals cosmetics kit, a bigger TV screen, and a complimentary drink before you fly. And if you’re on a night flight, they’ll supply a duvet and pillow, too. We compare cheap flights and hotels in one place. Find great deals with Altitude Flights and book your next trip here today.